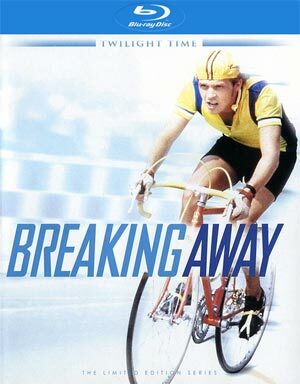 Breaking Away is a well done coming-of-age drama featuring four solid performances from up-and-comers and excellent direction by Peter Yates. The Blu-ray released by Twilight Time offers adequate video/audio transfers and a nice commentary track in the bonus material department. 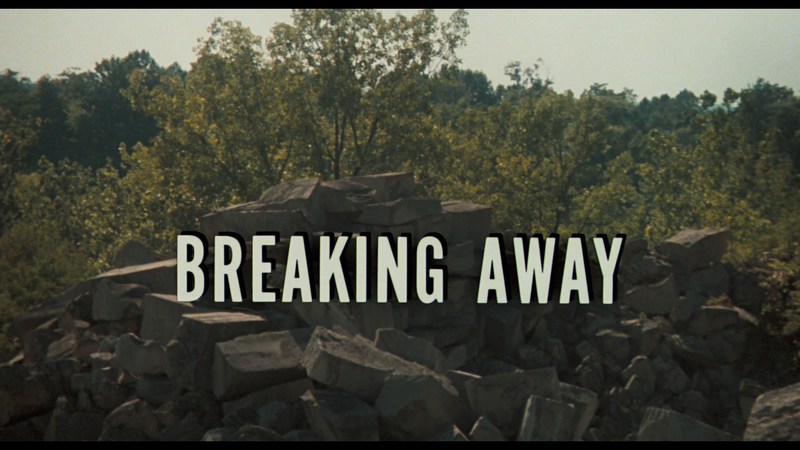 Breaking Away is an endearing coming-of-age story about a quartet of recent high school graduates—working class “townie” kids in the university town of Bloomington, Indiana—trying to sort out their possibilities. Dave (DENNIS CHRISTOPHER), Mike (DENNIS QUAID), Cyril (DANIEL STERN and Moocher (JACKIE EARLE HALEY) are a group coming to terms with their outsider status and realizing that they won’t be able to depend on each other forever. Director David Yates gives a sunlit interpretation of Steve Tesich’s Oscar-winning screenplay, which zeroes in on Dave, his eternally exasperated father (PAUL DOOLEY), and his understanding mother (BARBARA BARRIE), the result is a film that presents us with the Middle America of all our dreams. Inside the case is the regular 6-page essay booklet. 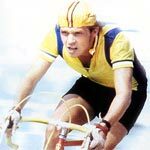 Audio Commentary – Actor/Star Dennis Christopher and Film Historians, and Twilight Time regulars, Julie Kirgo and Nick Redman, provide an insightful track outlying the themes of Breaking Away as Christopher also recounts his time on location. Academy Booster (0:32; SD) and Road to Adulthood (0:32; SD) are short television promos and Dennis Christopher’s Fellini Story (12:53) is an audio-only (presumably) radio interview. 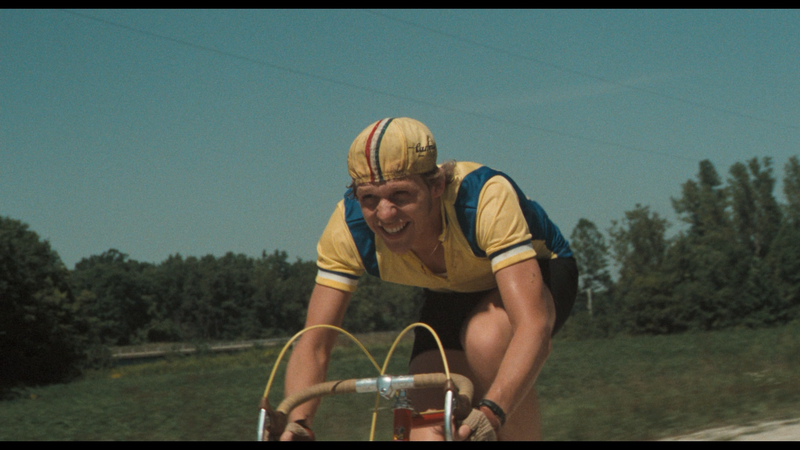 Breaking Away was released through Twilight Time presented with a 1.85 widescreen aspect ratio and a 1080p high-definition transfer. While this film is going on 35 years, it’s not the prettiest looking picture where definition can be a tad soft, even with close-up shots, and colors are a bit drab and not entirely bright. Still, for a movie that might never had looked the best, and rather than unnecessarily spending a boatload of money for a full restoration, it’s as good as it’ll ever look. The movie comes with an adequate if not underwhelming DTS-HD Master Audio 1.0 track. Considering the bulk of the movie is dialogue, that element comes through well enough although at times it wasn’t the clearest audio I’ve come across. The track on the whole doesn’t have much depth but it’s not necessary for a film like this. Overall, Breaking Away is a well done coming-of-age drama featuring four solid performances from up-and-comers and excellent direction by Peter Yates. The Blu-ray released by Twilight Time offers adequate video/audio transfers and a nice commentary track in the bonus material department.